This is a sad post. It may not affect you as much as me, of course, but nonetheless, be warned, this is not a post with a happy subject or ending. Just writing the title caused me to break down for a good ten minutes. In the forested hills of Northern California, there lived a cat who had a litter of kittens. I never knew her. Her kittens, or one of them at least, ended up at the humane society in Humboldt County. A lonely 22 year old student, overworked and struggling, decided he needed a friend and had the funds necessary to adopt a cat. I’d always had a cat as part of my life since I was born. When I turned 17 and moved off to college, for the first time, there were no pets in my daily routine. The cats my family had when I was home had all died off. It was time to get a cat of my own. Tai found me the moment I walked into the cattery at the Humane Society. He squealed imperiously; a squall I would later learn was his way of saying “Human! Do my bidding; set me free/feed me meat/give me your love/don’t touch me.” He dialed the cute to 12, started kneading the blanket in his cage, blinked at me, and smiled internally, because he knew his work was done. I have always believed that the best animals in your life choose you, rather than vice versa, and I have never doubted for a second that Tai chose me. I adopted him immediately, he got checked out by the local vet, and after a few hiccups (he got sick after being neutered), he was home with me for the long haul. That was the 23rd of August, 2000. I hoped we would have many days together, perhaps 10 or even 12 years. Tai spent the next few years with me in Arcata. I had ups and downs; my life was turbulent during the early years of the millennium. 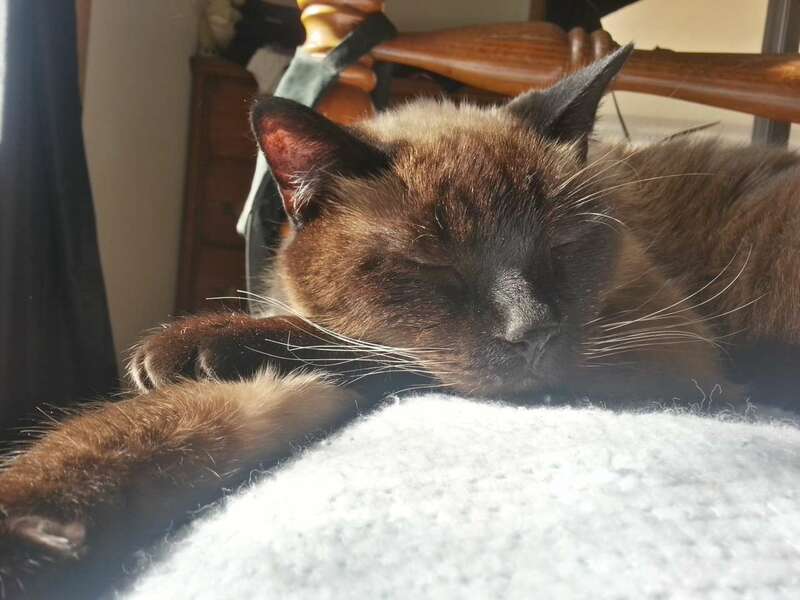 Tai was with me through the worst of them, purring happily each night or morning when I came home, waiting patiently for his dinner and curling up on my chest to be held as we went to sleep. 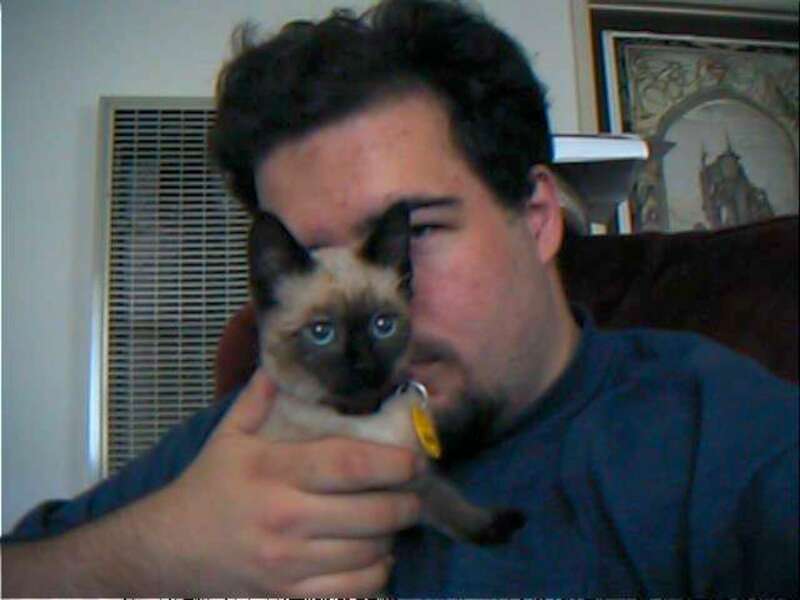 In 2002, Heather came along and upended the monopoly he’d held on my affection and time, but he quickly adapted when he realized that she was even more of a pushover than I was. Quickly, he coerced her into feeding him anything he wanted simply by waving a paw and blinking cutely. He grew into the adult cat he’d be for the rest of his life: lanky, long, powerful, beautiful, warmly intelligent, squeaky-voiced and loving. He hunted birds, got stolen by tweaker assholes, escaped the tweakers and made his way home two weeks later, a ragged shell, malnourished and dehydrated. He ran up redwood trees and stalked elk. The world was his oyster, and he spent his first four years totally immersed in it, exploring his domain and returning to his home base every couple of hours to get more tuna and love. In 2004, we moved to Oklahoma. Tai became an indoor cat at that point, as we no longer lived in a rural area off the major roads. Our house sat on a busy corner and drivers in Oklahoma go out of their way to intentionally run down cats and other small animals, so we kept him inside after moving. He adapted instantly, never even caring to go out into the strange new land we’d placed him in. He was content to watch, listen, and smell from behind screens and doors. The next 12 years passed by in the same house. The cats Heather had when our lives joined all grew old and died there, leaving Tai to hold the mantle as the last of our “Before Us” pets. He slept in the sun, ran around the house like a maniac, chased toys, ate fish and ice cream and French fries and kibble, generally living the cat life to its fullest. I changed jobs a couple of times, Heather changed careers, launched her own business, and we slowly but steadily clawed our way from abject poverty to relative security. 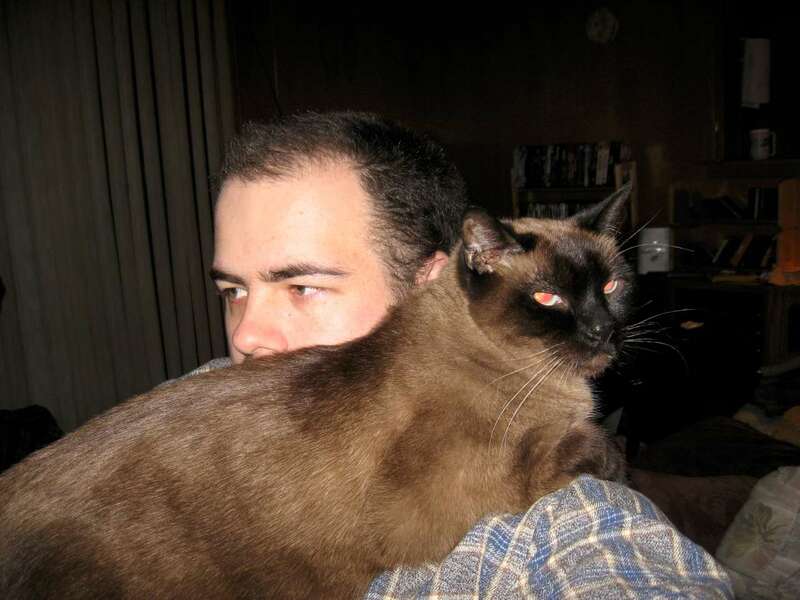 Through it all, the brown monster purred and loved us, aloof yet doting in his unique, inscrutable way. In 2016, we bought our new home. “What about Tai?” we both wondered. We had many reasons for not moving earlier, and some of them involved him and his brother(s). At last the stars aligned and we went from renting to owning our home in a two month span that started with me running some numbers on a spreadsheet out of curiosity. Tai took it all in stride; he loved the new house, which drowned him in sunlight and gave him a half dozen windows near the floor where his old muscles and bones could still easily reach. We knew he was faking it when we’d catch him on the counter sneaking a piece of chicken, but we pretended not to notice and he happily enjoyed pulling the wool over our eyes. He had a minor surgery and got a glowing bill of health from the vet, who couldn’t believe he was over 16 years old. “Why he doesn’t even look 10 yet,” she said. I smiled happily, glad that her assessment agreed with mine, and hoping that Tai would be the first of my cats to break the 20 year mark. He lounged gloriously in the new house, slept in front of the fireplace all winter, and reveled in the heated bed I got him for Christmas. He snacked on his treats and sang loudly at exactly 3:30 every afternoon to let us know that 4:00 was coming and by God, we’d best have his dinner waiting for him. Like good peasants, we always did. Heather changed jobs, accepting a new position with a company that allows her to work from home. Our family grew when we adopted Udo, a gigantic Rottweiler/Retriever mix from the local Humane Society. Heather had always wanted a big dog around, but neither of us were willing to get one until one of us was home most of the time to take care of him. Tai, as always, took it in stride, accepting his strange new sibling with a sniff and a sneer. So long as Udo kept out of Tai’s dinner and didn’t take all the noodles or chicken for himself, their relationship was drama-free. 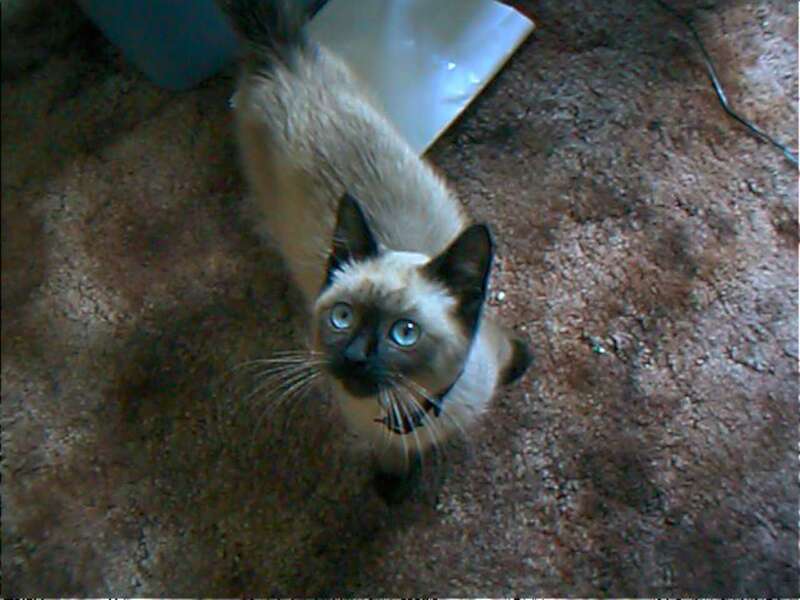 Tai, the day I brought him home on August 23rd, 2000. Stoned and imperious. One of my all-time favorite pictures of him; I had his catnip trout and he wanted it back RIGHT NOW. A few months later, in early 2001. 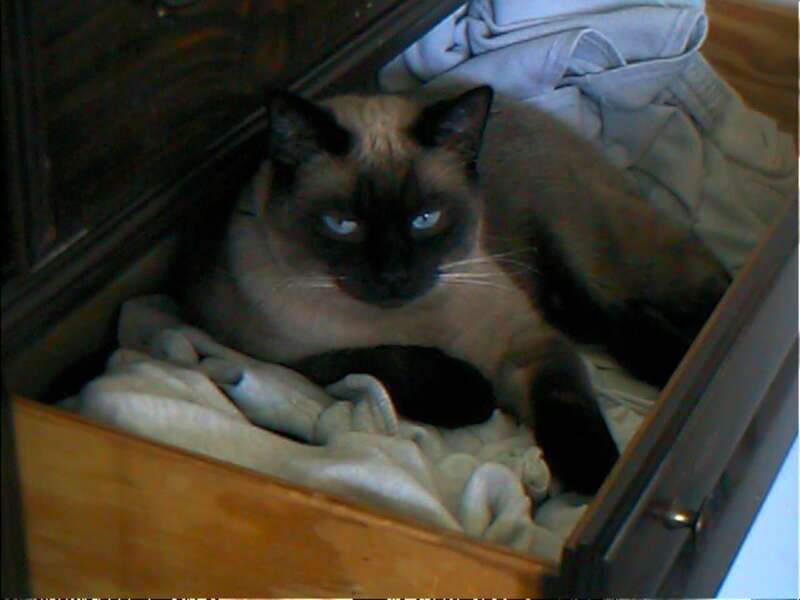 Tai loved sleeping in my sock drawer. He did it until we moved in 2016. He loved Heather as fiercely and totally as he loved me. He would sleep on her in total abandon. 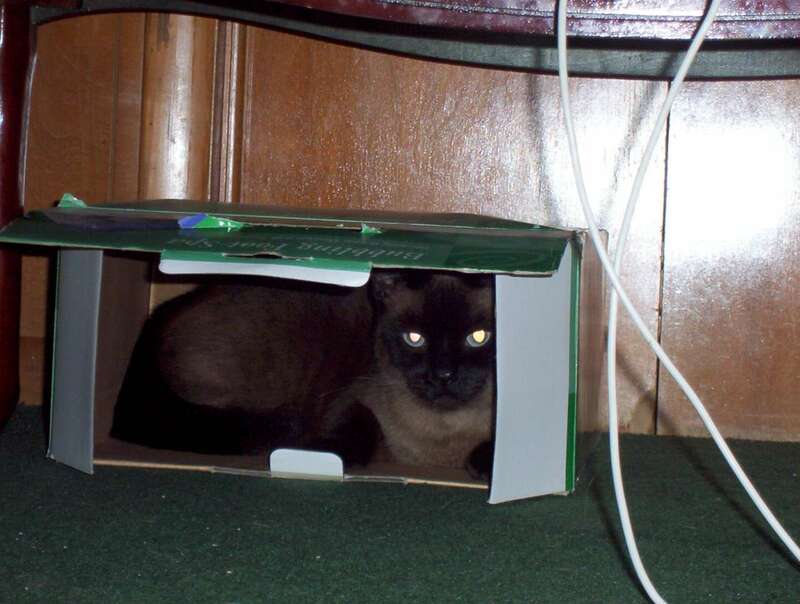 Tai was definitely a box-cat. If it fit, he’d sit. If it didn’t fit, he’d make it fit. This is why he got anything he wanted. When he made the Fuzzy Bear face, we both caved. 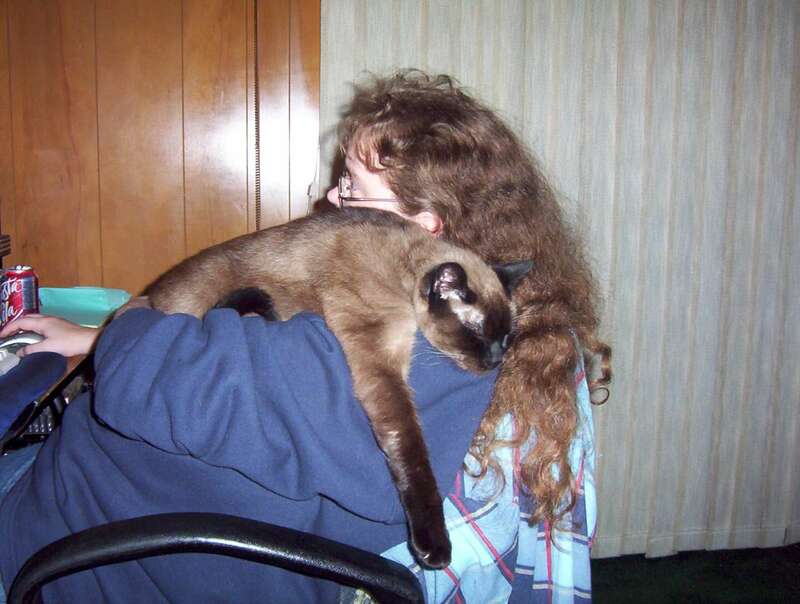 He didn’t like anyone bothering me when he was snugging me, which was a LOT over the years. The first picture I took with my new DSLR camera had the proper subject. 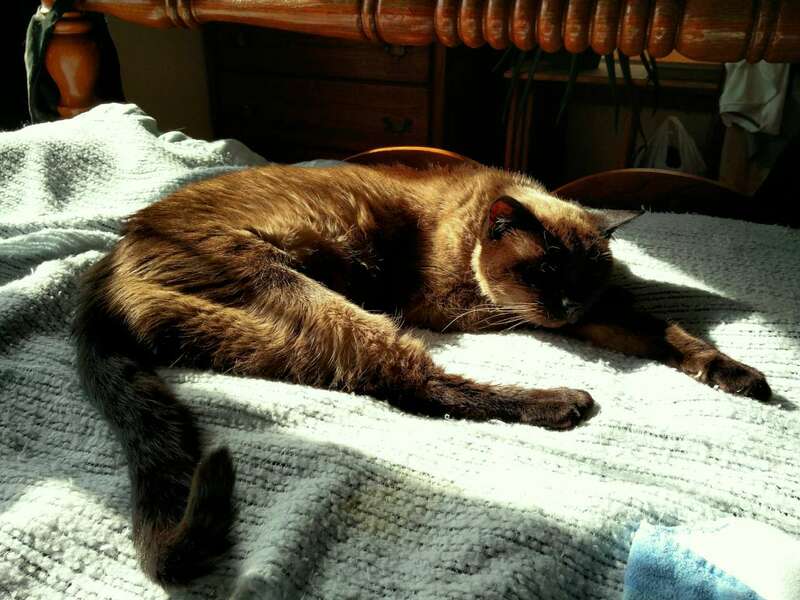 He loved curling out in the sun, letting it warm his dark patches, especially in winter. 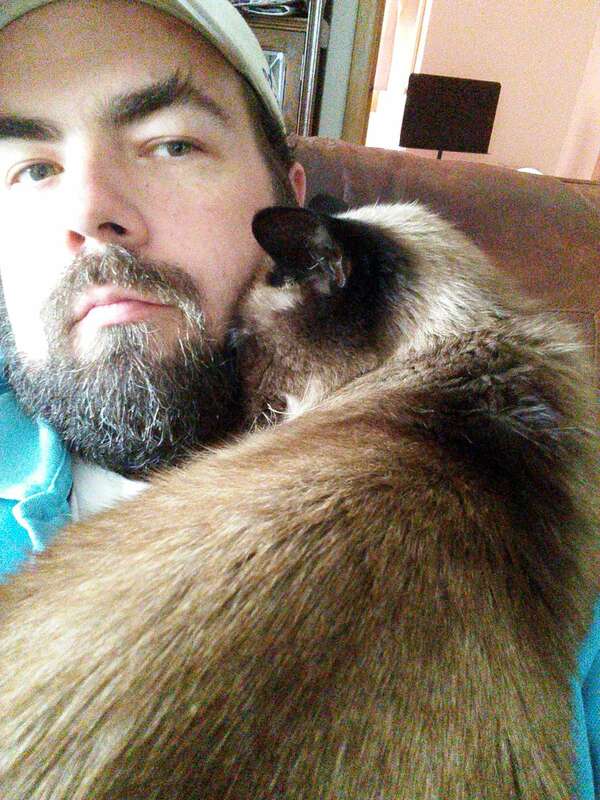 Shortly before we moved to the new house, he needed extra reassurance that all was well. 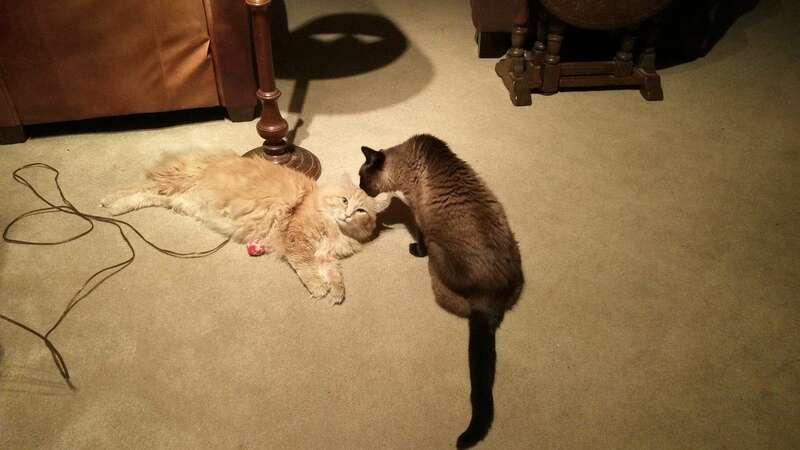 All settled into our new house with his adopted fluffy-orange brother, Nutter. This was summer, 2016. Sleeping in the sun on our bed in September, 2016. A morning ritual. A few weeks later, on a Saturday evening, Tai threw up his dinner almost immediately after eating it. As a cat, vomiting is a semi-regular pastime, so neither of us thought much of it. It was our first warning. That was the last time Tai really ate. He had kibble, but only sparingly. That wasn’t unusual, as he was so spoiled by real chicken, fish, noodles, dairy, and the like, that he only ate kibble once every day or two. Sunday evening, he didn’t sing for his supper like usual, and once we served it, he licked some gravy and went back to bed. He purred loudly and strongly when I touched him; his eyes were bright and clear, but his fur had taken on that “I’m sick” look. I knew something was wrong. “Perhaps just a kitty-cold or something quick,” I thought. I knew better, but denial is comforting, even when you know you’re doing it. Heather left to go to Phoenix for her first week at the new job. She knew something was wrong as well as I, but neither of us wanted to put a pall on her trip, so we didn’t discuss it. Monday evening came and he was no better. I came home from work and began the process of undergoing a total mental breakdown. 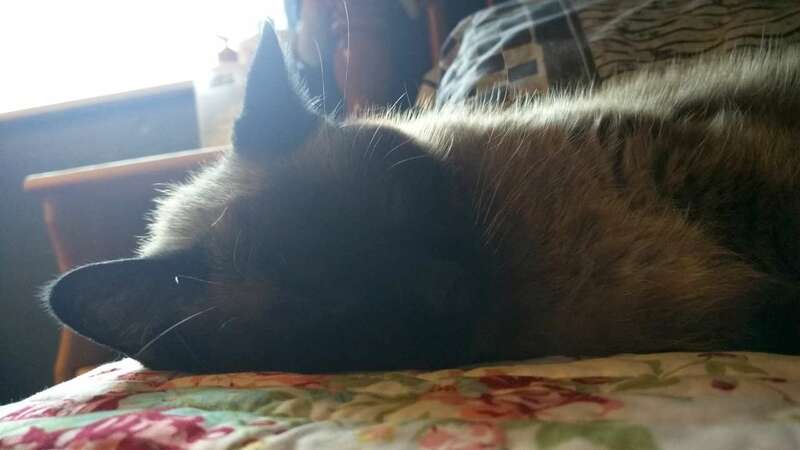 I’d had enough pets in my life to know that Tai was seriously ill and tomorrow’s trip to the vet would almost certainly result in my having to make The Decision I’d dreaded since the day I got him. We checked into the vet and the initial exam wasn’t promising; while he was in great shape, his kidneys were too small to feel and he was dehydrated. The vet suggested bloodwork while cautiously trying to prepare me for the idea of bad news. I approached the matter the same way I’d approached my mother’s cancer diagnosis and subsequent death, frankly, without euphemisms and a deep pragmatism. I asked hard questions and got straight, hard answers. Would I want to take all measures to save Tai’s life, no matter the chance or cost? Only so far as he had a reasonable chance at a good quality of life afterwards, was my answer. I asked if our vet suspected kidney failure to be the likely issue, and if so, would that diagnosis be a lethal one? Yes, and yes, but blood work was the first thing, then we go from there. The blood work came back three hours later. Tai was indeed undergoing kidney failure. He could live a few more days to a week in increasing discomfort, finally lapsing into a coma, followed by organ failure and death. Heather would be able to come home and see him in about 60 hours if I decided to take him home, and Tai had a chance of still being conscious then, though he’d likely be on death’s door. I could also elect to have him hospitalized, put on fluids, and he would stand a better chance of being alert and conscious by the time she came home, but he would spend those days in the vet’s office, behind bars. In both cases, the long term outcome was the same. Tai was going to die in the next week. For now, Tai was still fundamentally himself: alert, conscious, sick, but not undergoing the actual process of dying yet. There was never any hesitation on my part. I stumbled over the words as my stoic exterior finally cracked. “It sounds like it’s time to talk about euthanasia,” I managed to hitch out. The vet agreed, telling me that he was so glad I’d said so, because he didn’t want to see me try to drag out Tai’s life when there was no hope. We set the time for two hours later, that afternoon. His usual vet, Mary, would be on hand. On the 21st of March, 2017, I held Tai in my arms as Mary and I ended his life, four years longer than I’d initially hoped to know him, and forty years before I was ready to say goodbye. I tried to keep still and kept telling him that he had done well, that he saved me (my god, did he), and that I loved him (my god, do I). 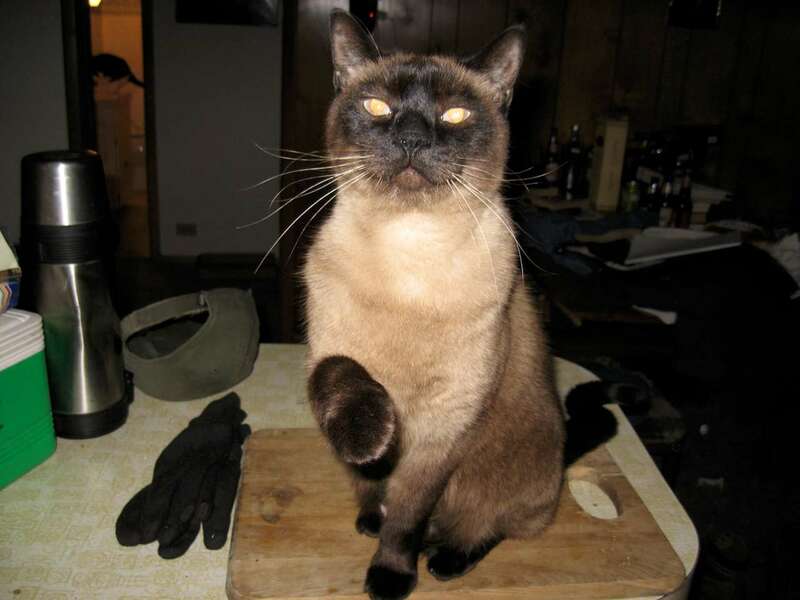 I chose to end his life specifically because he was alert and aware, still fully himself as he purred and fang-wiped my hand. He seemed to tell me that it was okay, that he knew I was sparing him suffering, and that I would be okay. If that’s me anthropomorphizing, I don’t care. I have to believe it. I wept furiously as he faded away in my arms. The vet wept with me, unable to handle watching a big burly bearded man wither in front of her as his ancient baby kitty went to sleep for the last time. I broke completely apart for a time. I tried to be quiet and subdued, and I completely failed. Eventually, I was able to leave his body to their care. As I left, the whole office staff looked like it had been to a wake; a small candle flickered, advising people to be mindful that someone was saying goodbye to their beloved pet. “That’s for Tai,” I thought. The tears and hitching began again. They haven’t really ever stopped, they’ve just faded to the back of my brain for a while. Tai was cremated and returned to me a few days later. For now, his ashes are in a small box on a bookcase. I don’t know where they’ll end up; perhaps they’ll be mixed with mine someday and thrown into the Pacific Ocean, destined to be subducted into the Earth’s mantle in a few hundred million years. Maybe we’ll scatter them around the redwoods he was born in, or we’ll mix them into a special place in our garden and plant sunflowers to attract the birds he loved watching. For now, they need to be here. I need him near still, even though I know it’s just a box of calcium and carbon atoms my cat borrowed from the universe so he could shine his blazing light into my life. We ended up having 6055 days together. 16 years, 6 months, 27 days. It wasn’t enough. In the end, I held my best friend as he left the world, loved and secure, safe and warm. We should all hope to be so lucky. 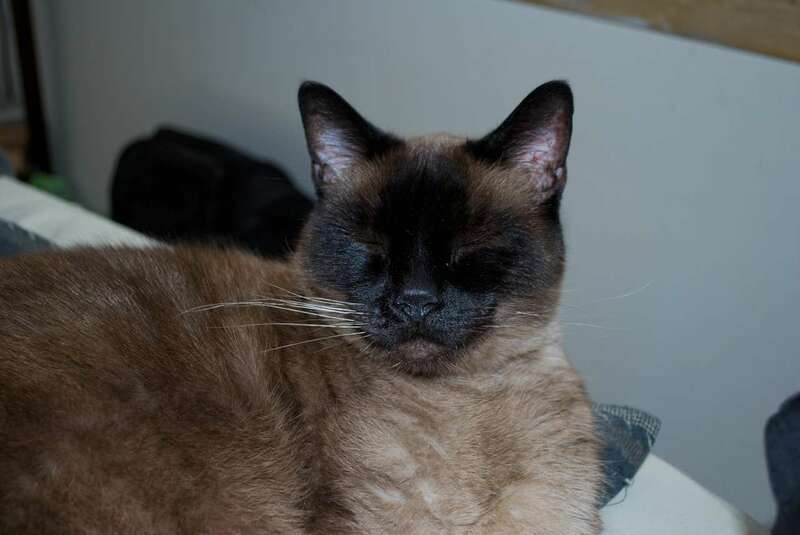 My chittering, beautiful, mouthy Siamese soulmate: you saw me through the worst and best times of my life to date. I will never forget you, your squeaks, your rumble purr, or your gentle soul. Your midnight freakouts, the catnip crazes, the damn trout toy that kept ending up in the toilet are all part of my story, as well as yours. My life is richer for you, and there will never be a day when I don’t look for you at the door when I come home, no matter how many more years pass. Thank you, babs. You saved me. I love you.